This tulip brings back memories of the beautiful purple tulips my Grandmother used to have in her garden. I love the purple ones and your card is so pretty. The stamp is so detailed too; it looks so real. 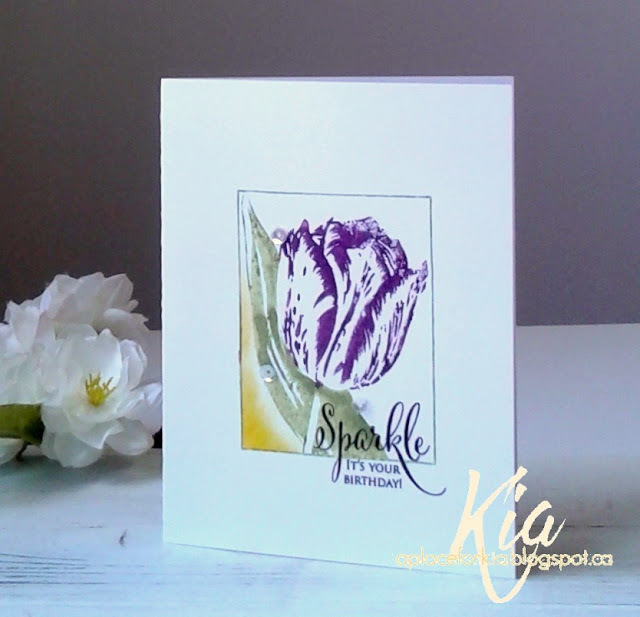 Such a pretty stamp and color combination.